Sampling is one of the most powerful sales and marketing tactics in your arsenal. I used it as often as I could. We would pass out food samples at bridal shows and business expos. I would invite prospective catering clients for an early or late lunch into my restaurant. This allowed me to stay in my building and spend a few minutes talking with prospects. Meredith would take sample luncheons out to offices to get on the radar of corporate catering decision makers. I would take out samples to corporate picnic committees to earn their business. One time I drove two hours with one of my catering captains and served a complete catered meal for ten people to earn a one thousand person event. Just look at how much food is sold in Costco thanks to grandmas serving up samples. I sold the most World’s Finest Chocolate Covered Almonds in third grade by buying a box and offering free samples. There are two forces working to help you. The first is the actual taste and presentation. If you serve me great food that is well presented, there’s a high likelihood I’ll cater with you. The second is the law of reciprocation. If I give you something for free, you are wired to want to reciprocate; hopefully by booking an event. In fact, any time I was putting together a proposal for a large event, I enthusiastically offered to bring the decision makers samples. 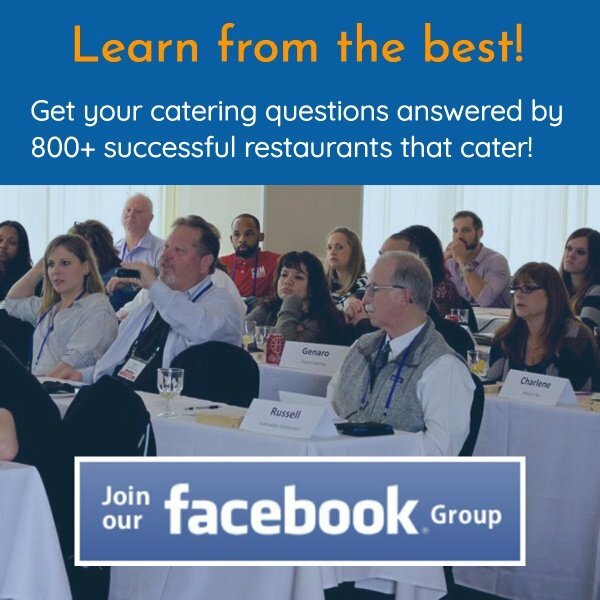 So whether you are trying to set up a sampling luncheon to a cold prospect or to someone requesting a proposal, I want to share a tool to help you book more catering sample luncheons. Below is a picture of a new product we are making available. It’s called the Digital Shock & Awe Package. Just like “shock and awe” warfare was used in the first Gulf War, this system overwhelms your prospect…in a good way. A video. You could use a stock video, but I recommend recording a custom video message targeted to each prospect. An audio file (the iPhone pic). We called and recorded audio testimonials for Kyle Agha at New Town. A catering proposal template. We created the proposal template graphic and Kyle just uploads the pdf of the proposal generated from his catering software he licenses from us. A book. We created the cover and the content. This lets prospects know what potential mistakes to avoid when booking an event. Note: This book copy is copyright protected and licensed to our clients. Please do not plagiarize. A catering menu. 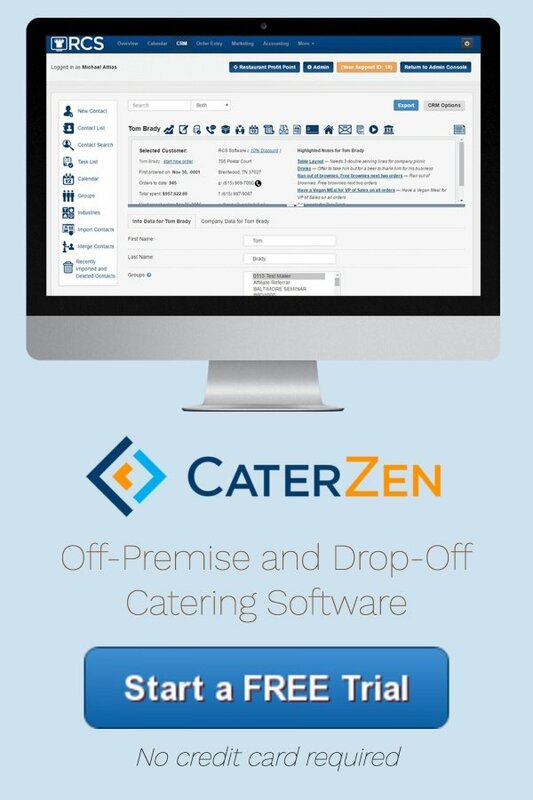 This allows you to upload a pdf of your catering menu. If you have multiple menus, then save them into one file. A catering guarantee. I have been using catering guarantees with success since the mid 90’s. We create guarantees and the respective graphic for our clients. They too are experiencing great results. A guarantee takes the risk away from a prospect. All things being equal, a well crafted catering guarantee breaks the tie. A frequently asked questions section. We all have some questions before choosing to purchase. This allows you to address the most common questions in a non threatening way. Many prospects don’t want to pick up the phone in the early stages of choosing a caterer. Catering testimonials. What your thrilled catering clients say about you is far more powerful than what you could ever say about yourself. As similar as this is to websites we design, keep in mind the main difference. This is customized to the recipient. Adding a custom video message is very impressive to a prospective catering client. Your marketing leaves prospects with an impression. Anything you can do to move that impression to favorable works to get you more catering jobs and catering sample luncheons. If you are interested in putting the Digital Shock & Awe Package to work for you, then please contact Jillian Davis: email Jillian@RCSMailBox.com or call 615-831-1676 Ext. 102. Here’s to booking more events!